It is truly great that Council is committed to speeding up delivery of the Major Cycle Routes, MCR’s. Be sure to let Council know you support the MCR’s. A careful look at the draft Annual Plan does raise some very serious questions as to the commitment to cycling at Council. Page 12 of the Annual Plan summary clearly states that the Major Cycle Routes, MCR’s have been advanced to secure central government funding which may not be available in the future. This is forward looking and sensible. Given that this funding also funds underground utility improvements, kerb and channel upgrades and intersection improvements it is a pragmatic way to repair quake damage and upgrade infrastructure at significant savings. It is estimated that between half and two thirds of MCR expense is due to non-cycle specific improvements. Council has promoted their focus on the MCR’s as a way to get the ‘interested but concerned’ cyclists onto their bikes, and it has worked. On some routes the infrastructure already delivered has exceeded expected usage projected through 2030. With at least 7%+ of Christchurch commuters on bicycles cycling infrastructure is a great investment delivering real financial returns while reducing congestion. Growing that percentage will significantly reduce the funds required to expand existing roads and to build more. Council has touted their support for cycling, the question is; are they right to think this Annual Plan does that? Are they so focused on building what attracts funds from central government that they have lost track of what people need to cycle safely? One way to assess Council’s commitment is to look at what funding they provide for cycling infrastructure in addition to the MCR’s. Looking at actual funding for transport in the draft Annual Plan, pages 53-60 is very concerning. The way the information is presented requires some careful study. For instance ‘Roads and Footpaths’ is funding primarily for motorized roading transport. A later heading for ‘Transport’ mixes together funding for car parking, Public Transport and Cycling or Active Transport. Both categories cover transport and are combined here for clarity. This finds clear priorities. Cycle parking gets a meager $20,000.00 total funding in 2019-20 and again in 2020-21 years with no funding in 2021-22. Apparently people are to ride bikes, but not park them. Contrast this with funding for car parking of $724,000 in 2019-20, $6.844 million in 2020-21 and $572,000 in 2021-22. This on the back of tens of millions spent on parking garages in the CBD. Cycle parking, like cycle infrastructure generally, has been grossly neglected for decades. Creating MCR’s is great, not funding cycle parking for those who try cycling is not great. Add in that there is very little funding offered to create the local cycle links needed to connect the MCR’s and no funding to make streets safer for commuter cyclists who need to get from a to b efficiently. Looking at Council’s funding finds that Councillor’s may not be supporting cycling in Christchurch as much as they think, or would like to. Over the 3 years 2019-2022 MCR funding is $82 million and averages 93% of all funding for cycling infrastructure. NZTA provides up to 66% of the funding for the MCR’s (actually, some of it can attract 75% subsidy – Ed). At most ratepayers are covering 40% of the MCR’s costs, reducing Council’s contribution to $32.8 million. Given that at least half of MCR works are for non-cycle related infrastructure improvements Council’s funding for actual cycling infrastructure drops to $16.4 million, or 5.88% over the 3 years. If we subtract the funding for the MCR’s cycle funding in Christchurch for the three year period drops to just $6.9 mill or 1.74% of total funding. Nearly $5 million of that is to give cyclists a way to get off of Cranford Street, now turned over to cars thanks to the Northern Arterial Extension. That reduces non MCR cycle infrastructure Council funding to just half a percent of the total. 0.5% funding for much needed cycle infrastructure to provide the local cycle network to connect the MCR’s. This is poor support for giving people the option to cycle safely from a Council which features a focus on supporting multi modal transport, reducing emissions and confronting climate change. 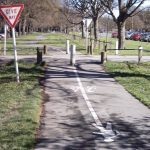 Cycling infrastructure needs to be driven by need, pent up demand and the understanding that getting people out of cars is good for all road users and ratepayers. It will save hundreds of millions meaning rates rises can be reduced. With 5% annual average increases projected it is obvious that we simply can’t afford to cater to cars. 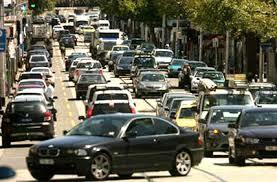 We can’t build our way out of car congestion. Councillors have a LOT of work and it is easy for things to slip by. They are merely human. Reach out to them with polite concerned submissions which make clear your need and the community’s need for cycling infrastructure. If Council is to do better you need to get a submission in by 1 April letting them know that the funding for the MCR’s is great, but funding for building a complete connected cycle network is also needed. Once built people will have real mode choice and the MCR’s uptake will exceed numbers they could not imagine. Previous Previous post: Guest Post: Are the Demographics of Cyclists Changing?